Memorial Day weekend is fast approaching! 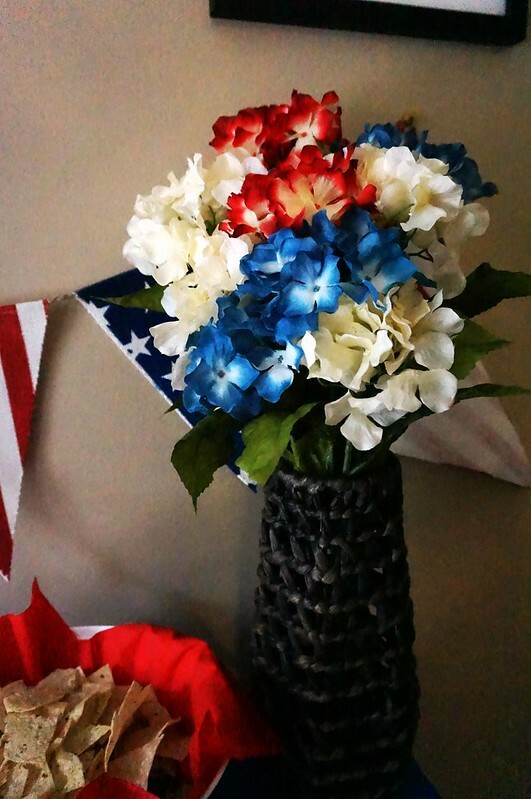 It’s a weekend full of family and food and remembering service members who died in the line of action. 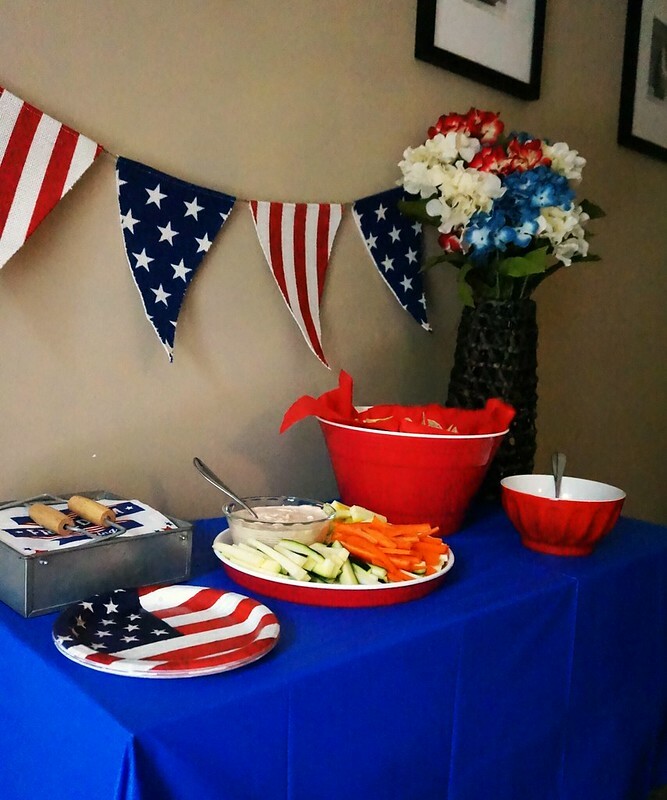 This affordable party decor will make your Memorial Day party festive and special. I like to set up our appetizer table to the side of our main table. That way, guests have some finger food to nibble on while we’re getting the main food ready! The new Chobani Mezé™ Dips are the perfect dips for your appetizers. In fact, the Turkish word mezé (pronounced “meh-zay”) means taste, flavor, snack. If that’s not meant to be an appetizer, I don’t know what is! 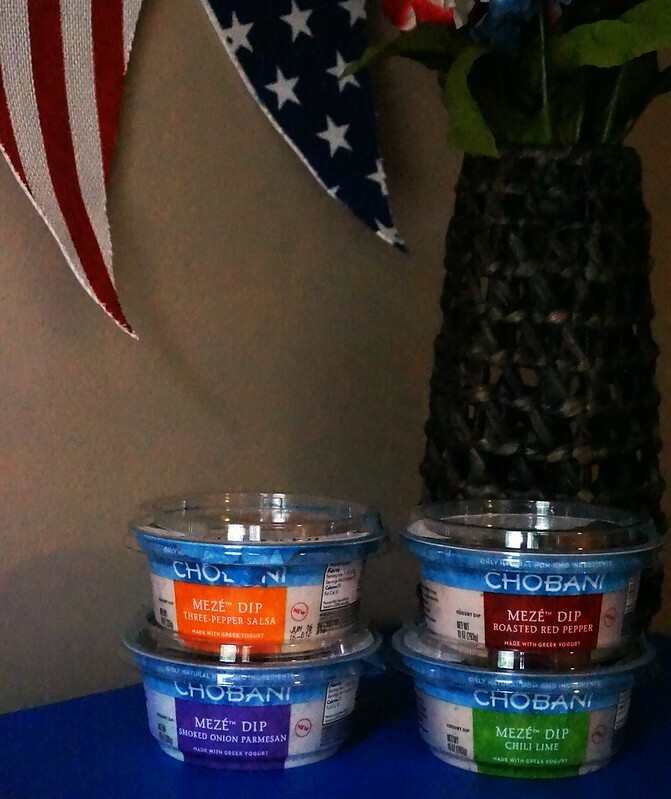 Chobani is one of our favorite brands of yogurt, so my family is ready to dive in and try all of their new dips. And just like all of their products, the Chobani Mezé Dips are made with only natural, non-GMO ingredients. All of the dips were inspired by global flavors and are deep rooted in the Mediterranean tradition of gathering around the table to celebrate with family friends. I stopped by my Walmart to get some party decorations. 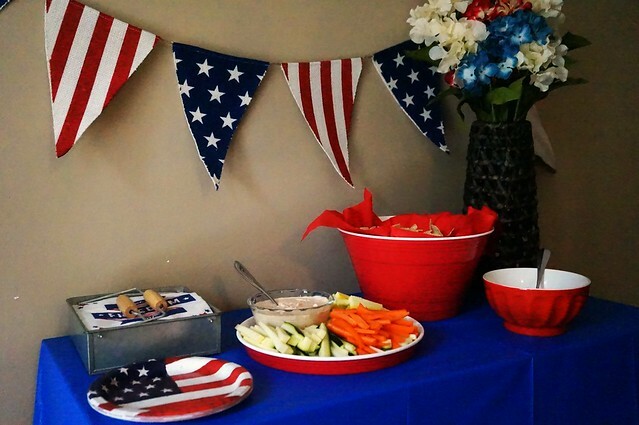 All of the patriotic-themed party decor is out and it’s all so pretty! I picked up some flowers, paper products, and this adorable rustic banner. I might keep this banner hanging in our dining room for the whole summer, I love it so much. After I found all the paper decor I needed, I swung by the deli to get the dips. They were right at the front of my Walmart, you can’t miss them! All of the flavors are delicious. 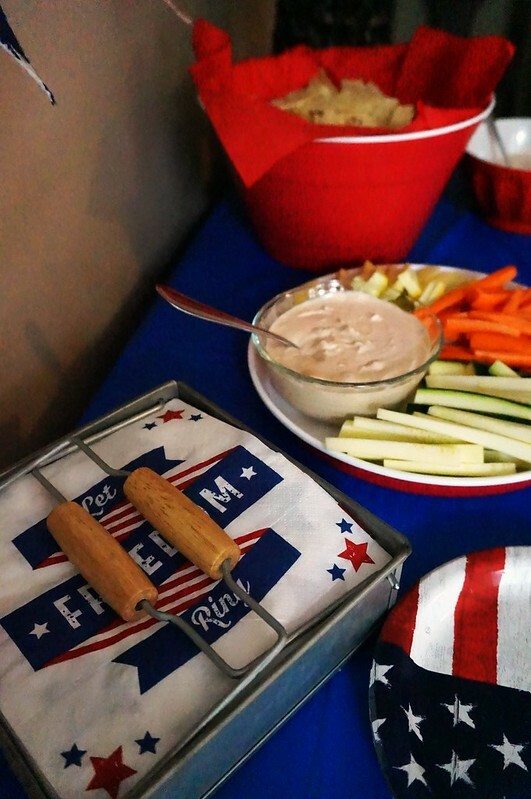 For this appetizer table, I’ve paired the Roasted Red Pepper Mezé Dip with fresh vegetables. I stopped by our local vegetable stand and picked up some yellow and green squash. I chopped some carrots as well. For our chips, I am using the Three Pepper Salsa Mezé Dip. It smells so amazing! 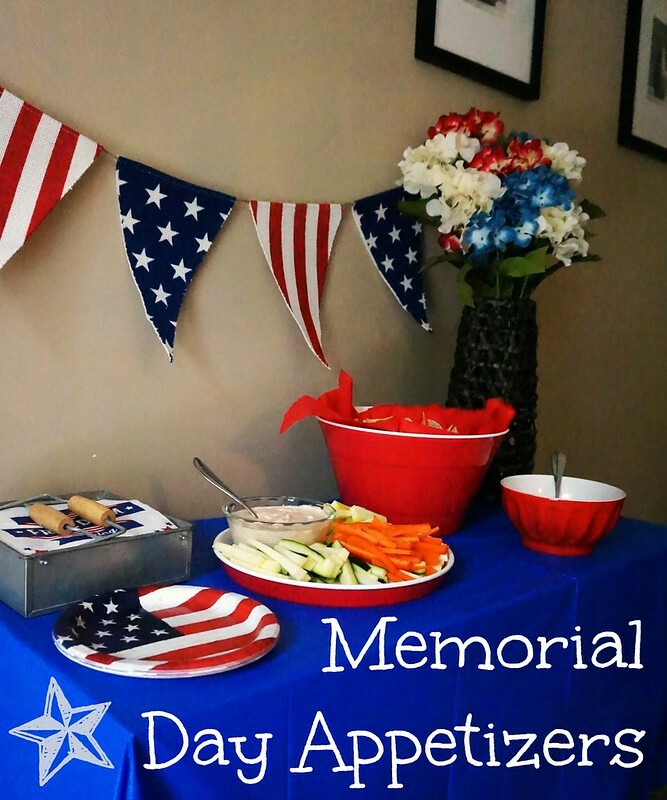 What are your plans for Memorial Day? 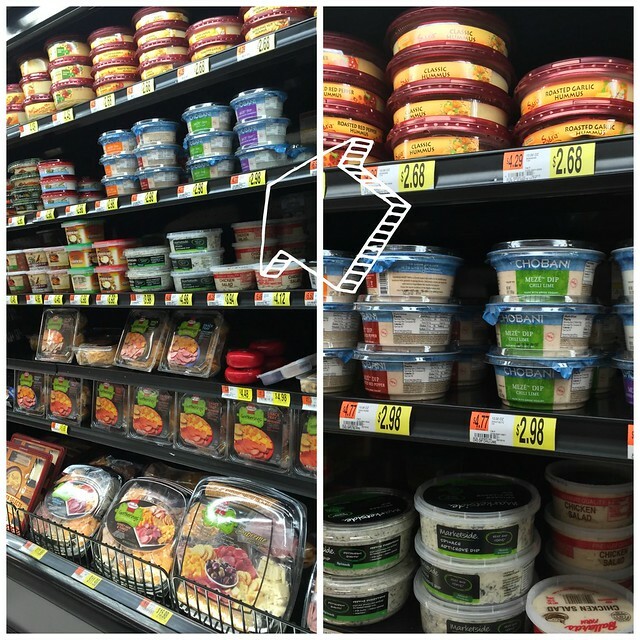 When you’re heading to Walmart, make sure to use this $1.00 coupon on Chobani Mezé Dip!